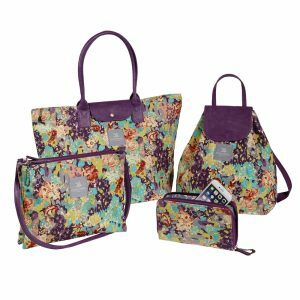 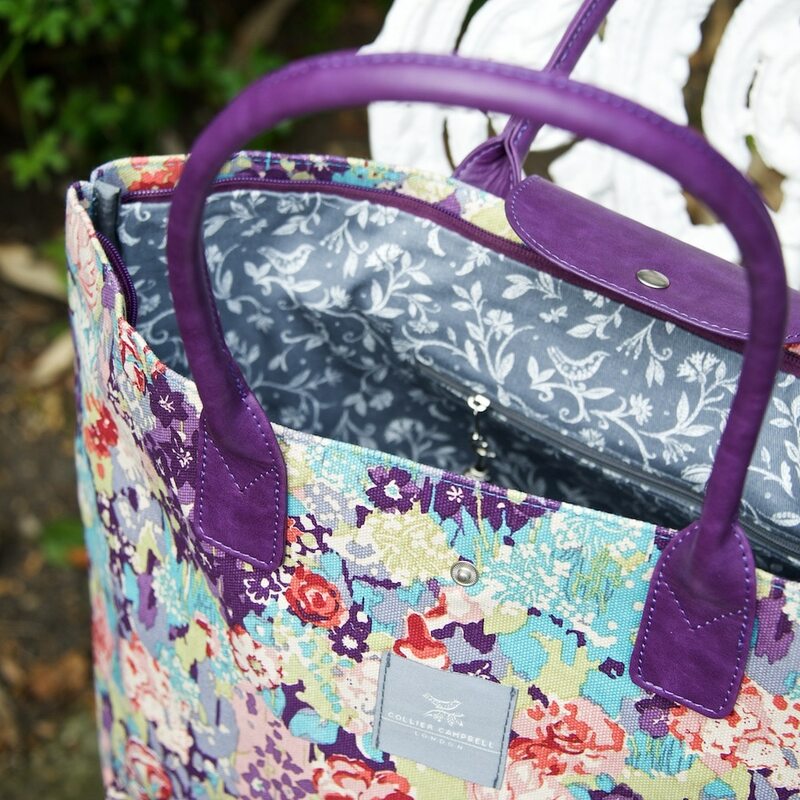 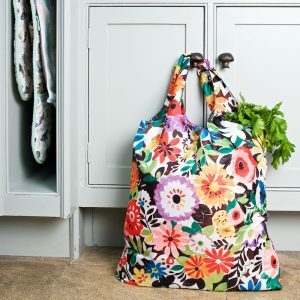 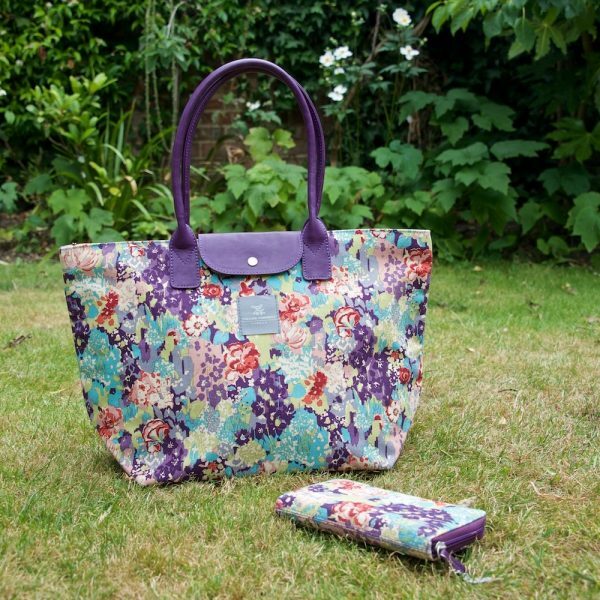 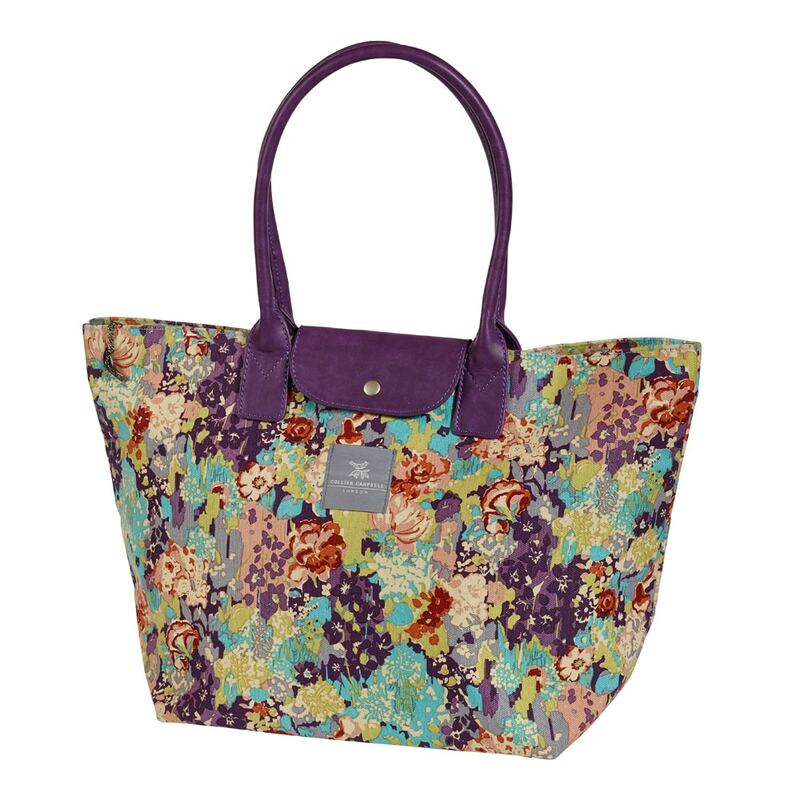 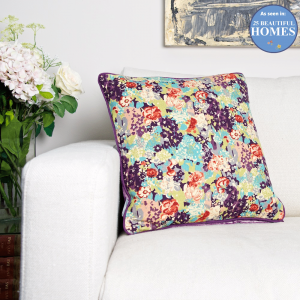 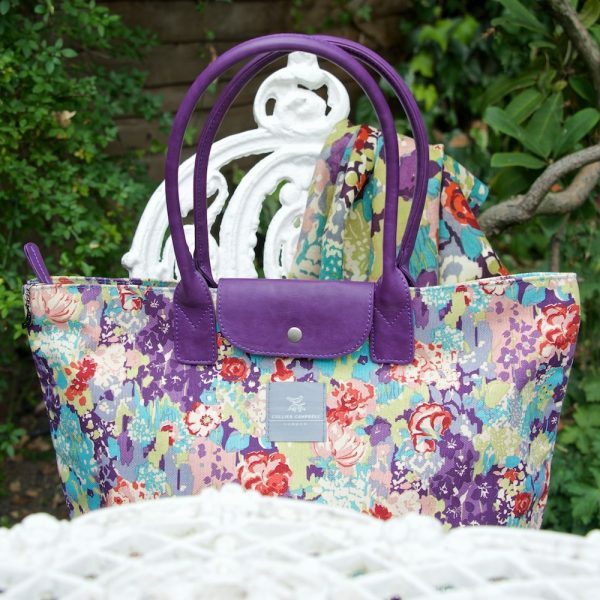 An exceptionally roomy and stylish shoulder bag in Enchanted Forest, a stunning design of flowers and foliage in a gorgeous mix of colours! Matches our very popular Enchanted Forest wool scarf. 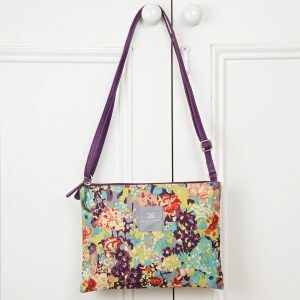 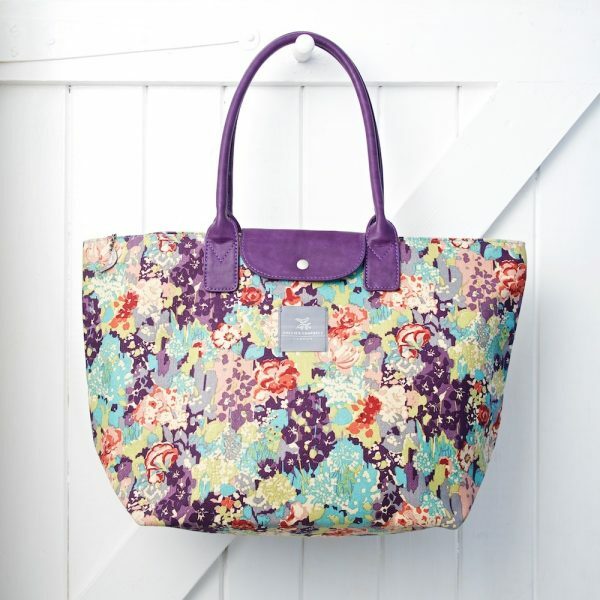 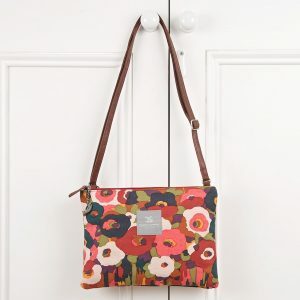 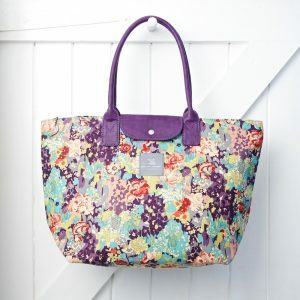 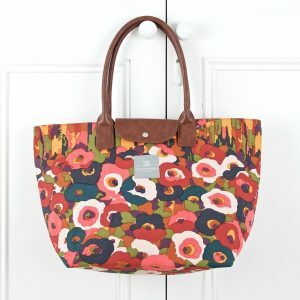 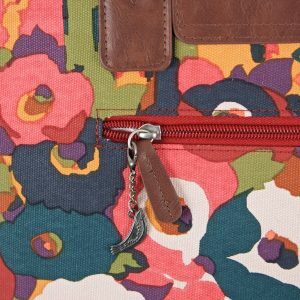 The padded faux leather handles sit snugly on your shoulder or work perfectly carried as a handbag. 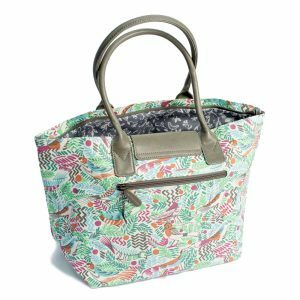 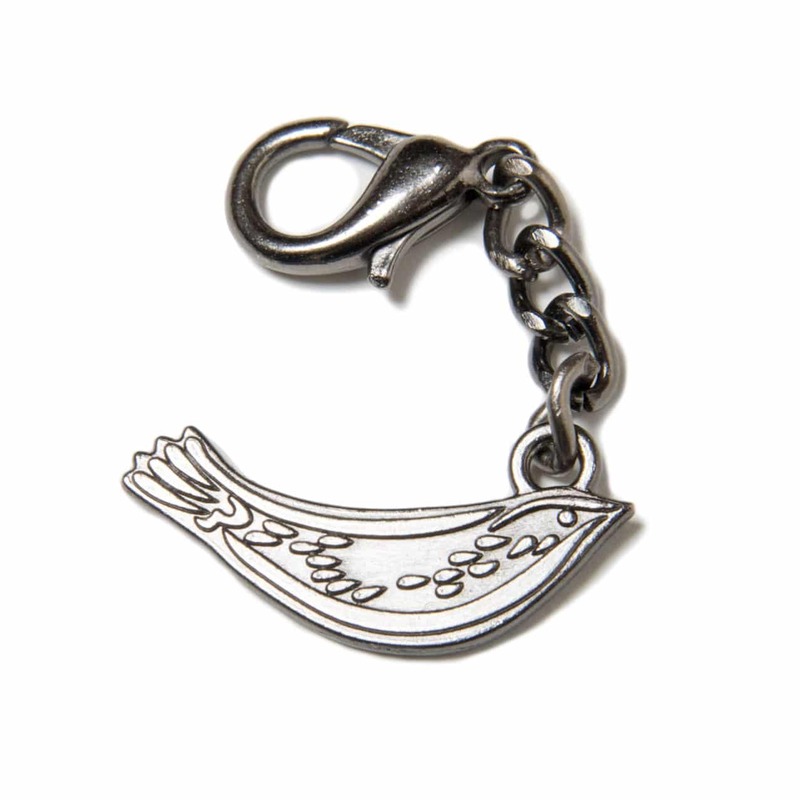 In top quality cotton canvas, the bag has a secure zip across the top with detachable bird pendant, front flap with magnetic popper fastening, and an outside zipped pocket. 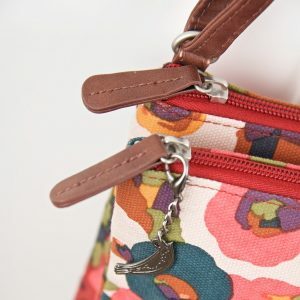 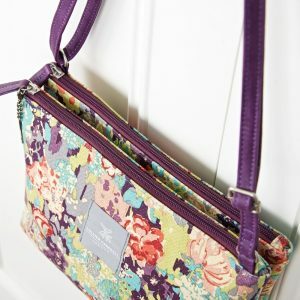 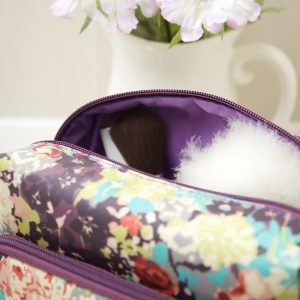 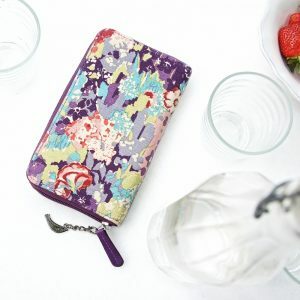 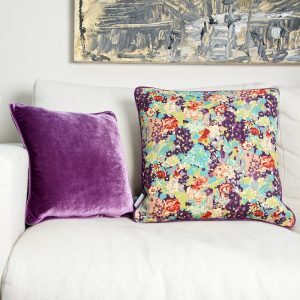 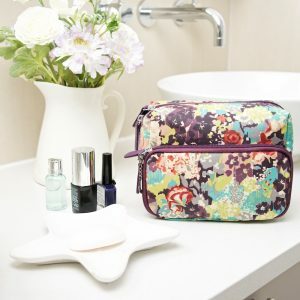 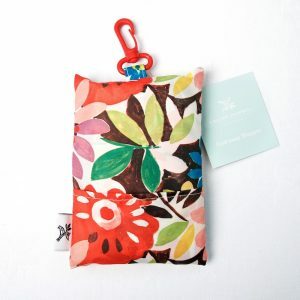 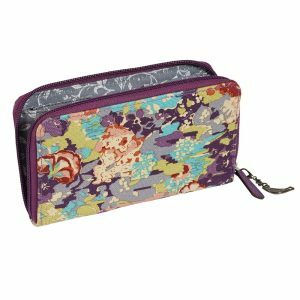 Inside there is a handy key fob, a pocket for your phone, another for make-up and a large internal zipped pocket to keep all your belongings within easy reach. 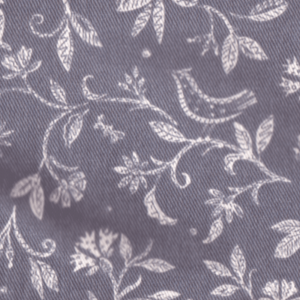 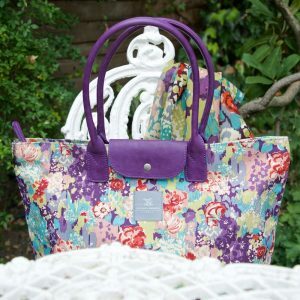 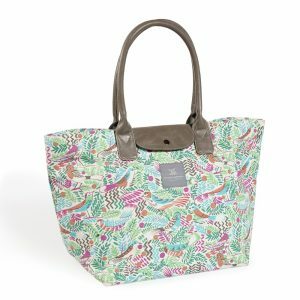 And the bag is fully lined with our ‘bird on branch’ pattern.